It is with heavy hearts and sorrow that we are announcing the passing of Edward David Swiderski of Saskatoon on Saturday, September 8, 2018. He was born in Lloydminster, SK on April 17, 1937. Ed was predeceased by his loving, beautiful and caring wife Darlene after approaching their 55th wedding anniversary. He was also predeceased by his parents Nick and Frances. He is survived by his brother Bill (Marlene), son Doug (Fawn), daughter Pam (Greg), grandchildren Nic (Shelby), Laurel (Ian), Mason (Kayla), great-grandchild Lydia; as well as numerous cousins, nieces and nephews. Ed lived a life full of humour and was an avid sportsman and athlete in his younger days. He achieved great success in both hockey and fastball; in fact he is a member of the Saskatoon/Saskatchewan Sports Hall of Fame. He also loved the outdoors. Everything from hunting to fishing and enjoying the beautiful nature we have in Saskatchewan. He had a 28 year career with SaskPower which was his first job out of school. 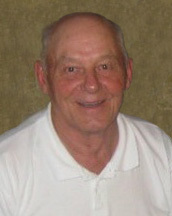 He participated in many organizations and was a past president of The East Trout Lake Cottage Owners Association. The family requests that in lieu of flowers that donations be made to the Alzheimer’s Society of Saskatchewan (1405 Faulkner Cres, Saskatoon, SK S7L 3R5). At Ed’s request there will be a private family service at a later date. Arrangements in care of David Schurr – Mourning Glory Funeral Services (306) 978-5200.